It's summers and the season of strawberries !! Ever since the summer started, we have been eating fresh strawberries, having strawberry shake, smoothies, in fruit salads; everything ! So when my husband suggested we must go in for something different with strawberries, I came up with the idea of making jam and canning it. I'm not really a jam person and I don't like jams, but my husband does. So we got another batch of strawberries and I converted them to Jam !! It looked super delicious !! These are the hulled strawberries, ready to be made into jam. And voila! This is my strawberry jam !!! 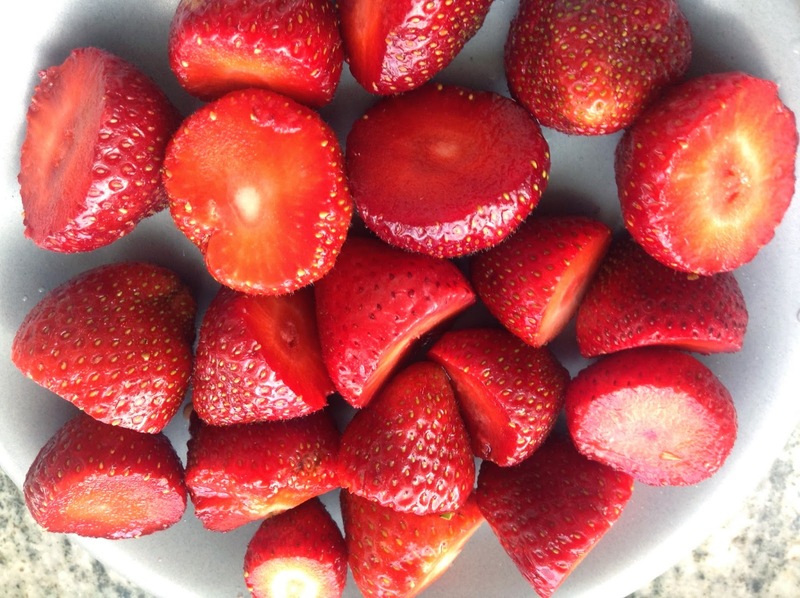 Wash the strawberries thoroughly and cut off the upper green part. Now, mash the strawberries completely. 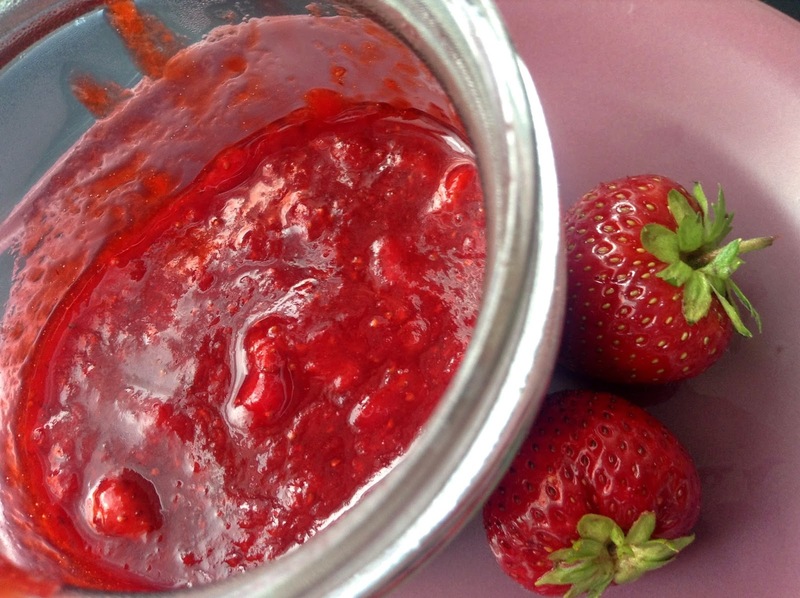 In a heavy bottomed pan, add the strawberries, sugar and lemon juice on low heat till the sugar dissolves. Turn up the heat to medium and bring this mixture to a rolling boil. Stir regularly otherwise it will stick to the pan and burn. Keep stirring for full 10 minutes. Remove from the heat and can it in a sterilized jar. Cap it and immerse in boiling water for 10 minutes. Remove from the water and refrigerate. The jam would be ready to eat after it cools down.